Built: The dimensions of the Lava Iris 405+ smartphone are 64 x 125 x 9 mm and it weighs about 127 grams. Display: This device sports a capacitive WVGA touch display of 4 inches that provides a resolution of 480 x 800 pixels. 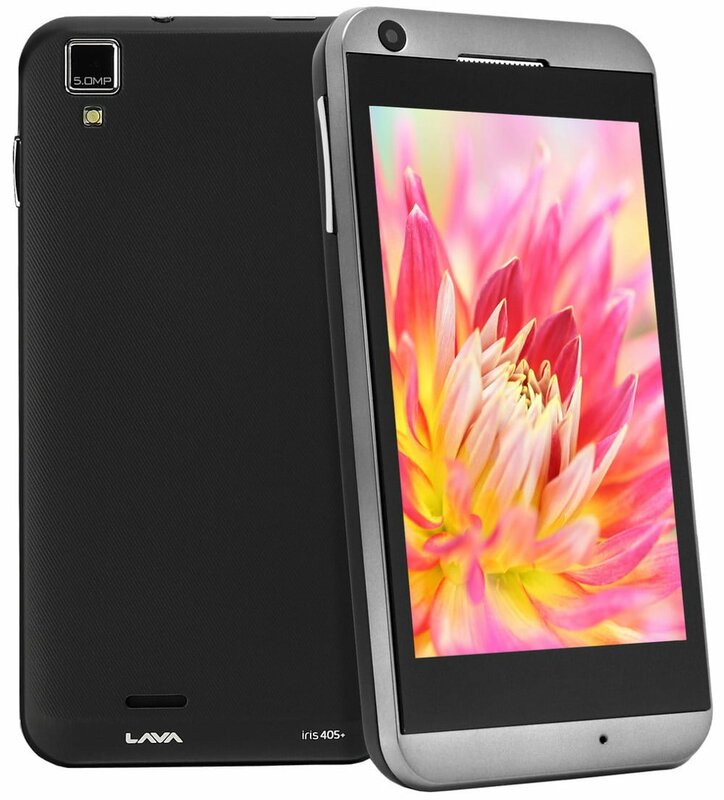 Processor: The Lava Iris 405+ has been equipped with a dual core processor of 1.3 Giga Hertz. Software: This smartphone works on Android 4.2 Jelly Bean OS. Camera: Iris 405+ carries a primary camera of 5 mega pixels at its rear with auto focus and LED flash features. The handset also sports a front facing VGA 0.3 mega pixel camera. Memory: This handset offers a RAM of 512 MB and internal storage space of 4 GB. Iris 405+ also features up to 32 GB expandable memory by using a micro SD card. Connectivity Features: The connectivity features incorporated in this device are Wi-Fi, A-GPS, Bluetooth with A2DP and 3G (HSDPA/ HSUPA). Other Features: Lava Iris 405+ is a dual SIM handset with dual standby feature. It supports GSM SIMs. The smartphone also features FM Radio and a 3.5 mm AV jack. It is available in white and black color variants. Battery: This smartphone runs on a Li-ion battery of 1400 mAh capacity. Our Take: The Lava Iris 405+ is a pretty decent smartphone to purchase. It provides you with a nice variety of services and features. Since most of the smartphones are now offering 1 GB RAM, this device may disappoint a few buyers. Also, its battery capacity is quite moderate. 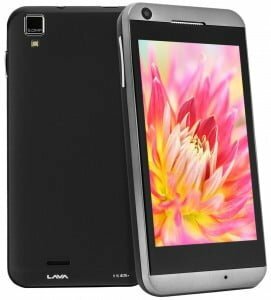 It’s Specifications are same as of Lava Iris 405 which is thousand rupees cheap. Only difference is of looks.